As an art lover, I like to feature my clients’ artworks where they can be enjoyed from various vantage points, and sometimes in unorthodox ways. When Karen and Doug downsized from a large family home to an elegant condo they brought their extensive collection of Inuit sculpture. 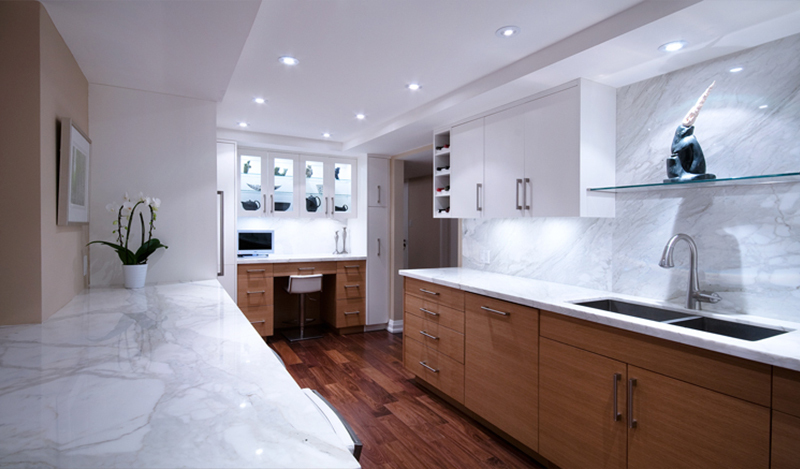 I had designed a sleek, open-concept kitchen with a striking statuario marble backsplash. 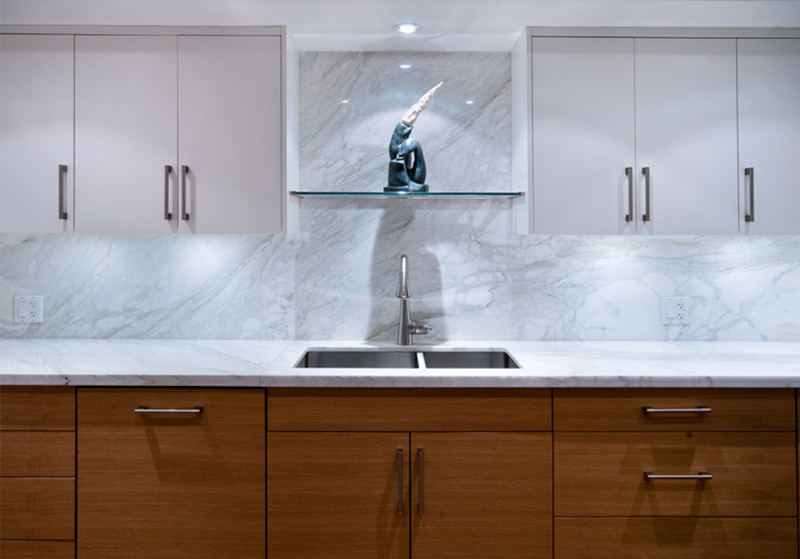 The sink area faced directly to the living room and struck me as having potential as a gallery display space. So rather than specify the usual cabinetry I installed a glass shelf and lighting to feature a specially- prized piece. Kitchen as art gallery- why not?